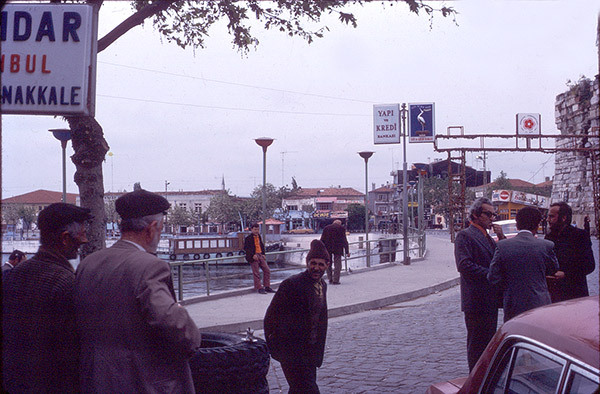 ANZAC & Lone Pine, Revisited -1975 e-book absolutely FREE. 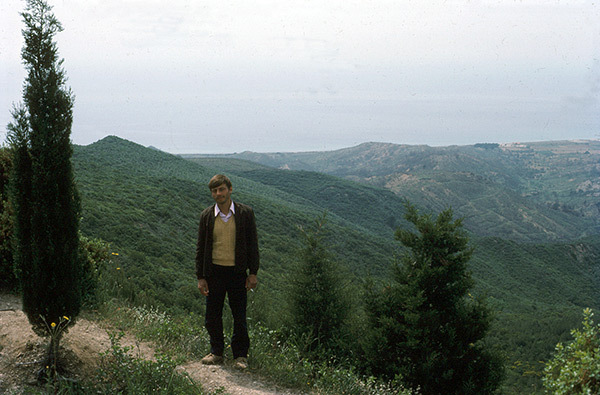 This is the record of my personal pilgrimage to ANZAC Cove in May 1975. There were no tour buses & the Australian Government was actively discouraging its citizens from going because of the tensions between Turkey & Greece. I went anyway. 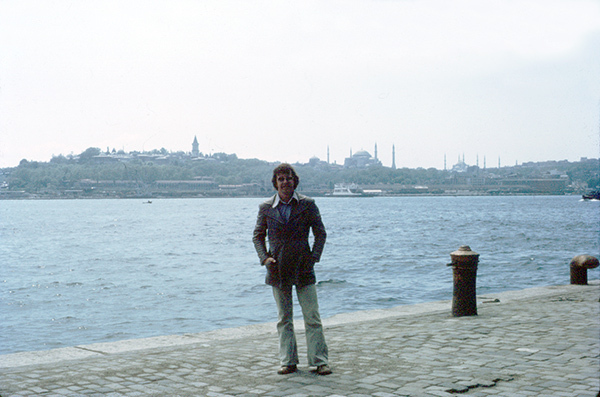 Duncan flew to Istanbul from Athens on 2-May-1975. 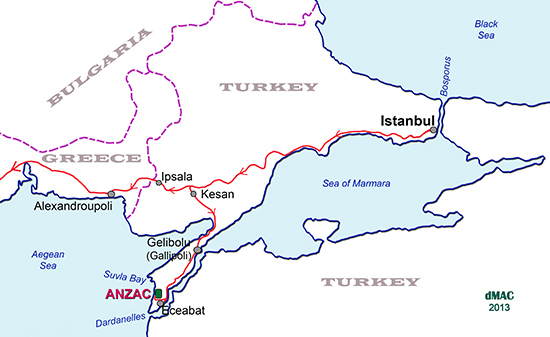 This map shows his route by local bus from Istanbul, Kesan, Gelipolu, and Eceabat. 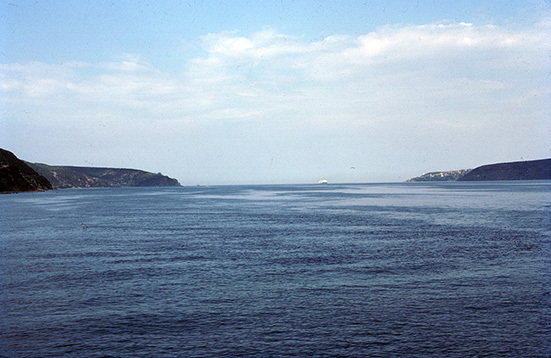 Then taxi from Eceabat across the Gallipoli Peninsular to Anzac Cove and return. Local bus back to Kesan, Ipsala and Alexandroupoli - then across Greece to Corfu, ferry to Brindisi in Italy - then Eurail Pass to Bruge in Belgium and ferry to London. 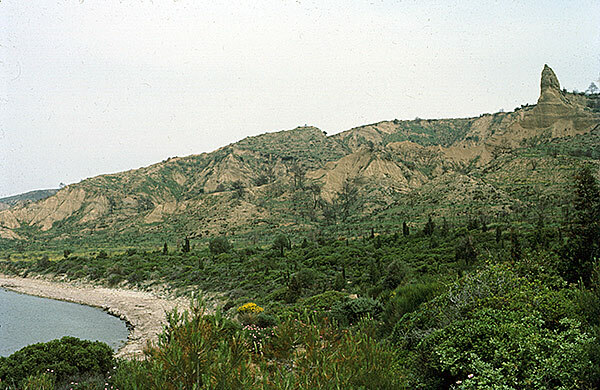 Tour buses only started going to Anzac Cove in the 1990's. 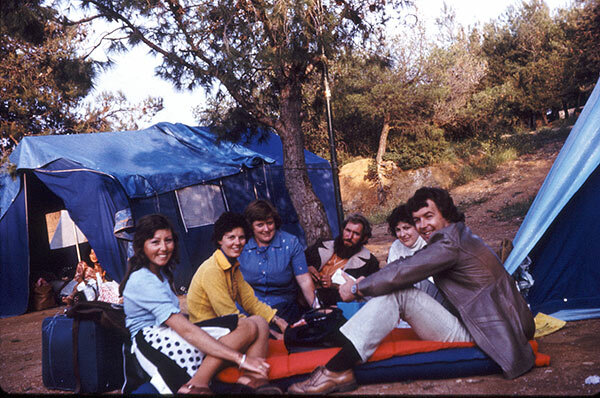 1-May-1975: Duncan visiting NAT bus tour, Nia Kafissia camp site, outside Athens; Judy, Anne and Jill. 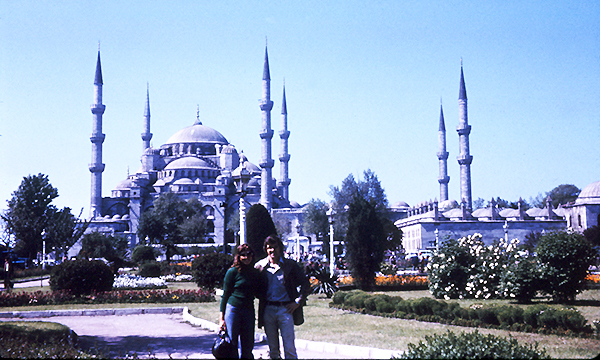 On 28-April he flew from Sydney to Athens, then flew to Istanbul. 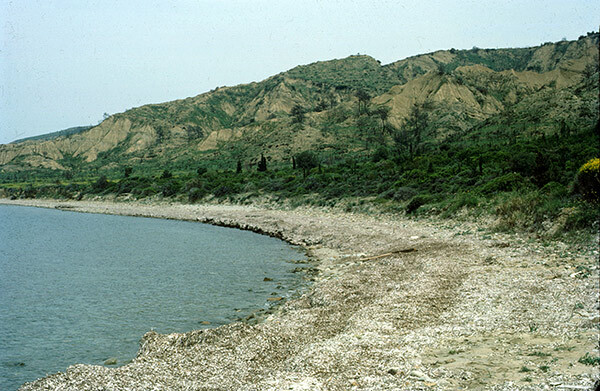 He travelled by local buses to Eceabat on the east coast of the Gallipoli peninsular, then across to the western side of the peninsular by taxi to Anzac Cove. 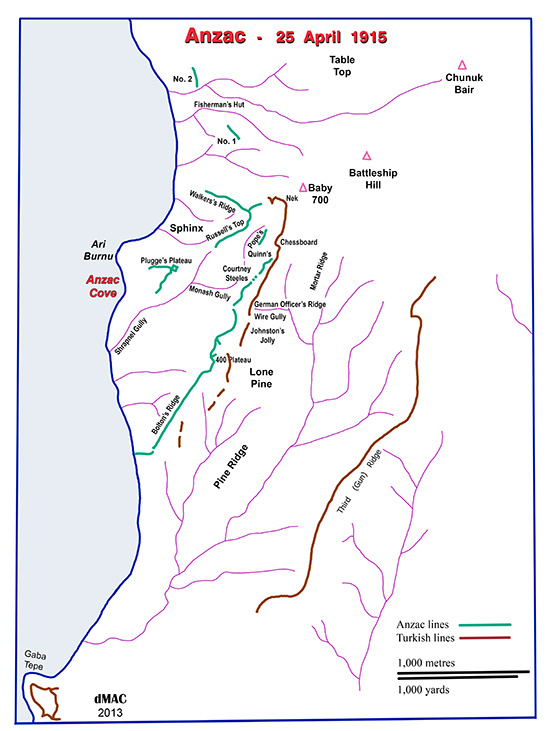 Anzac was not shown on any maps. 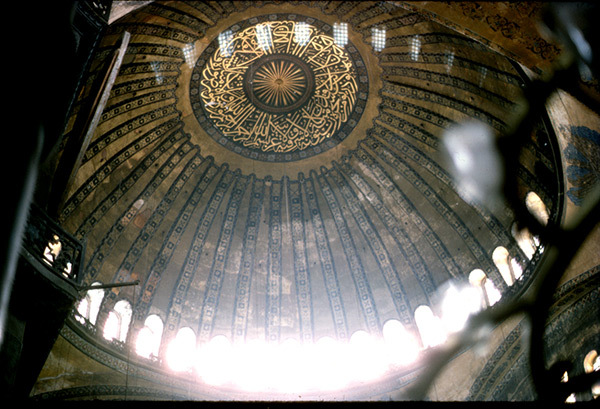 5-May-1975: Istanbul - Hagia Sophia was renowned for its massive flat dome. 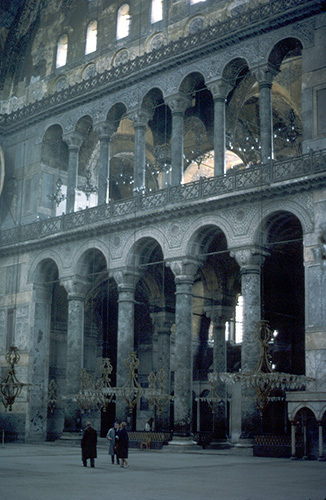 When the new St Peter's Basilica was being built in Rome (1506 to 1626), the builders did not have the skills to construct a flat dome as Hagia Sophia. That knowledge had been lost. 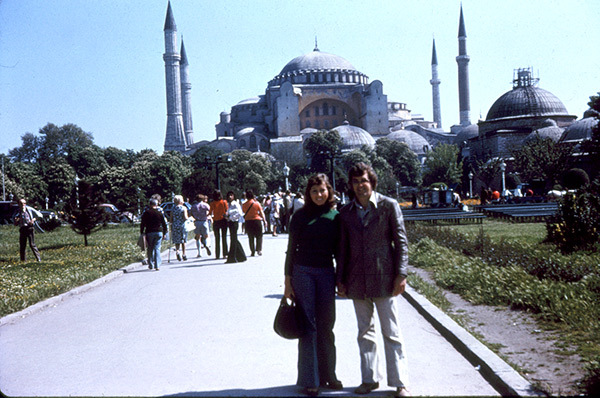 5-May-1975: Istanbul - Judy & Duncan in front of the Blue Mosque. 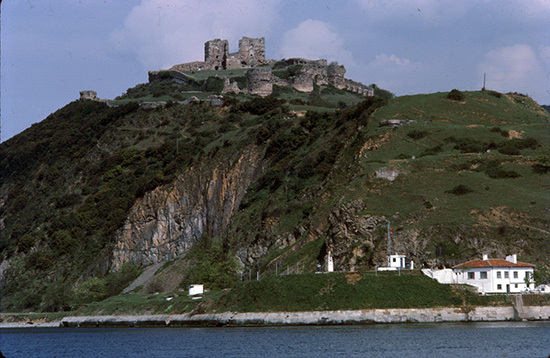 It was built between 1609 - 1616 CE during the rule of Ahmed I. It has 6 minarets. 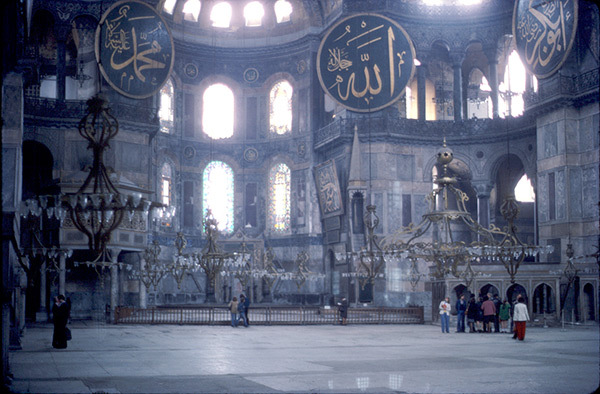 All mosques are supposed to have 1 to 4 minarets. This caused a problem in Islam as the only mosque which had 6 minarets was the Holy Mosque in Mecca. 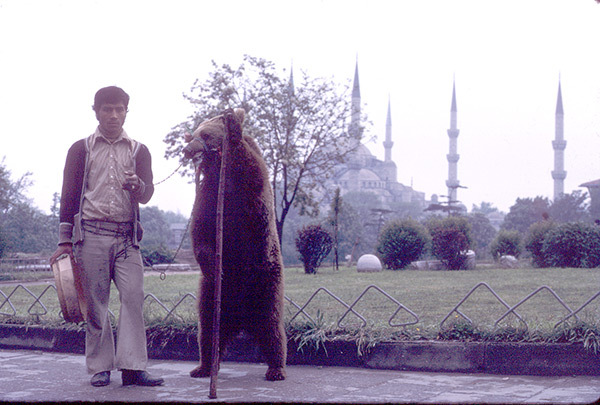 The problem was solved by adding an additional minaret to the Mecca mosque. 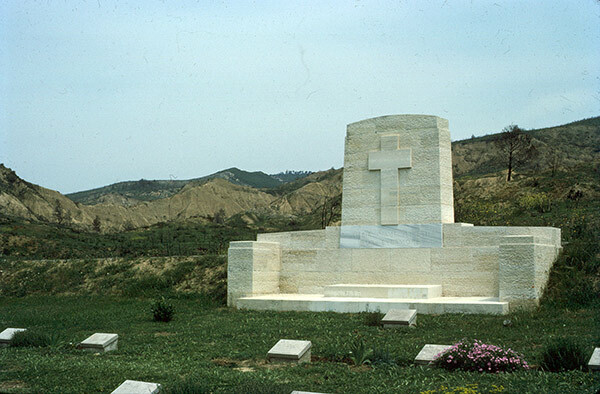 8-May-1975: Anzac Cove - New Zealand Memorial. Notice on one of the small cemeteries was typical: 433 soldiers buried. 157 known and graves marked. Names of 207 are known but graves unknown. It wasn't until 1928 the Australian Government sent teams to locate and formally bury the dead. By that time it was difficult to identify the remains - most of the uniforms had disintegarted. 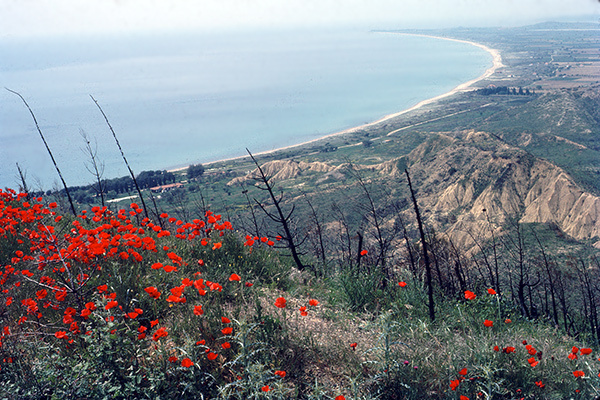 Particularly in the upper ridges it was difficult to tell Anzac and Turkish bodies apart. 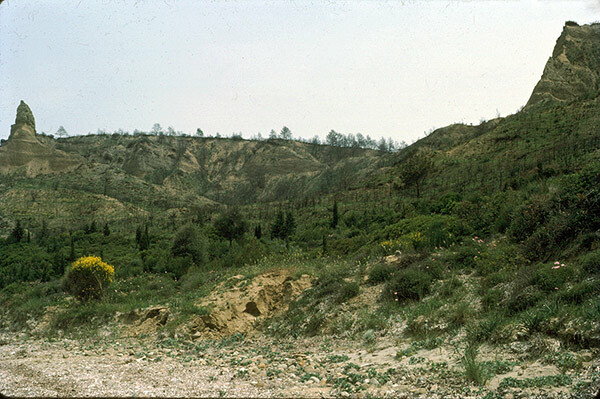 8-May-1975: Anzac - Turkish trench, looking north to the Nek and Suvla Bay. I was surprised to see the poppies. I had only associated them with the fields in Flanders. 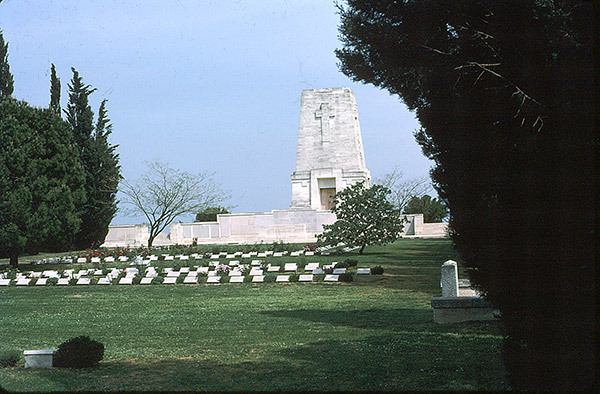 8-May-1975: Anzac - Lone Pine Memorial. The only people I saw during the entire visit were half a dozen Turkish gardeners at Lone Pine. The wooden doors of the Memorial were padlocked. I asked the head gardener, who spoke some English, if I could go inside. He said "No." I asked "Why not?" He said "Chapel locked." I wasn't going to make headway here, so I wandered off looking at the gravestones. A little later, after a little 'prompting' from my driver, he came up with the keys and kindly unlocked the doors. Inside was a very small bare room, no windows. The only furniture was a single wooden school desk . On the the desk was an ordinary exercise book. It contained the names of people who had visited this site (and gained access to the locked "chapel"). 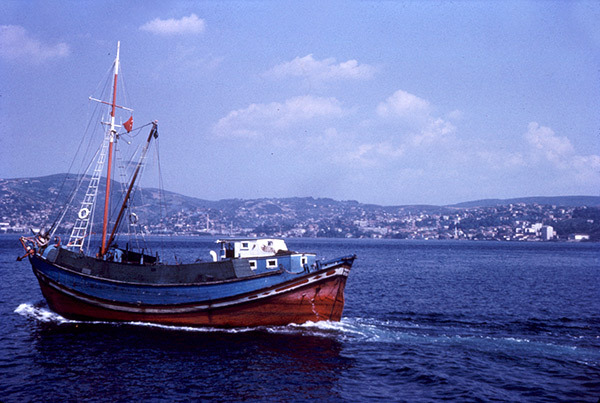 The first entry was dated 1938. There were 32 entries. 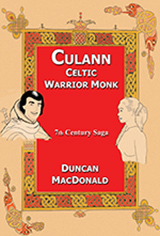 The latest entry on page 2 read; 25-April-1975 - Cutler, VC, AK, KCMG, KCVO, CBE. It was Sir Roden Cutler, the then Govenor ot New South Wales. 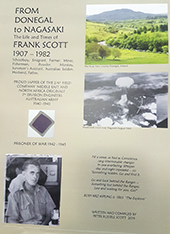 I leant later he had been taken to Anzac Cove on an Australian destroyer and carried up hill to Lone Pine (Cultler lost his right leg in WW2) to celebrate the 60th anniversay of the landing. 8-May-1975: Lone Pine - Private F.J. Pinkney, age 32. Killed 60 years ago today. 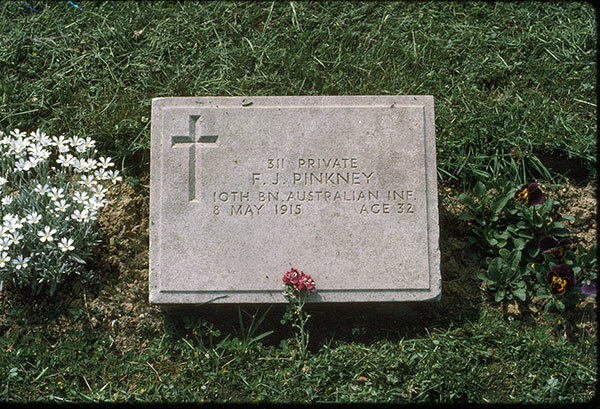 I searched for an Anzac who had died on the anniversary of my visit and was my age, 34. Most were aged between 18 and 24. The purple wildflower was handed to me by my Turkish taxi driver - he noticed me searching the gravestones and when I stopped at Private Pinkney, he thought Pinkney must have been a relative. Australian soldiers at Gallipoli were ' lions led by donkeys', declared former Turkish Army Colonel Mesut Uyar, who is currently researching the famous campaign in Australia.